يوفر فندق Luma Luma Holiday Apartments ظروف إقامة راقية وهو خيار رائج للسياح ولرجال الأعمال أيضاً. يقع في منطقة ثقافة, مطاعم, سياحة من داروين. يحظى هذا الفندق ذو 3 نجمات بمكان ممتاز يسمح بالوصول إلى المعالم السياحية الأكبر في المدينة، فهو يبعد مسافة 0.25 km عن صخب المدينة. يضفي محيط الفندق اللطيف وقربه من كروكوسوروس كوف, البرلمان, دارون سيتي سينما سحراً خاصاً على هذا الفندق. إن Luma Luma Holiday Apartments حريص على توفير الراحة للنزلاء، فلا يوفر الموظفون جهداً في تقديم أفضل الخدمات وضمان حسن الاستقبال. إن مكتب الاستقبال على مدار الساعة, مرافق مخصصة لذوي الاحتياجات الخاصة, تخزين الأمتعة, واي فاي في المناطق العامة, صف السيارات هي جزء فقط من الخدمات التي تميز Luma Luma Holiday Apartments عن باقي الفنادق في المدينة. تنعكس أجواء Luma Luma Holiday Apartments في غرف الضيوف.تلفزيون بشاشة مسطحة, غرف لغير المدخنين, مكيف هواء, خدمة الإيقاظ, مكتب هي بعض الميزات الموجود في العديد من الغرف. سواء كنت من محبي الرياضة أو كنت تتطلع لتفريغ عناء نهار صعب، ستجد خدمات ذات مستوى عالي بانتظارك كمثل حمام سباحة خارجي, حديقة. إن Luma Luma Holiday Apartments هو خيار ذكي بالنسبة للمسافرين إلى داروين، بما يوفره من إقامة هادئة ومرحة. Very helpful staff. Let me have a late checkout, 12pm instead of 10am, free of charge to allow me to sleep for longer after a late arriving flight. Room was decent for price and has everything in it you'd need. Only thing is that everything is pretty old and could do with an update. Really enjoyed my stay! The room was clean and comfortable and the pool was lovely. Excellent value for money and close to everything in the CBD. Looking forward to staying here again on the next visit. This hotel needs a major renovating. The door was cracked and could easily be broken into. It's like being in one of those skeevy hotel rooms where people do drugs. It was so dirty and had a really bad smell to it. The mattress was sinking in and the furnitures were at least 30 years old. Also you can also use the wifi at the reception downstairs. We had stayed at Luma Luma previously, so when we decided to spend five days in Darwin we wanted a place that offered facilities for some self-catering. We stayed in one of the studio apartments with a decently equipped kitchenette which was perfect for us. 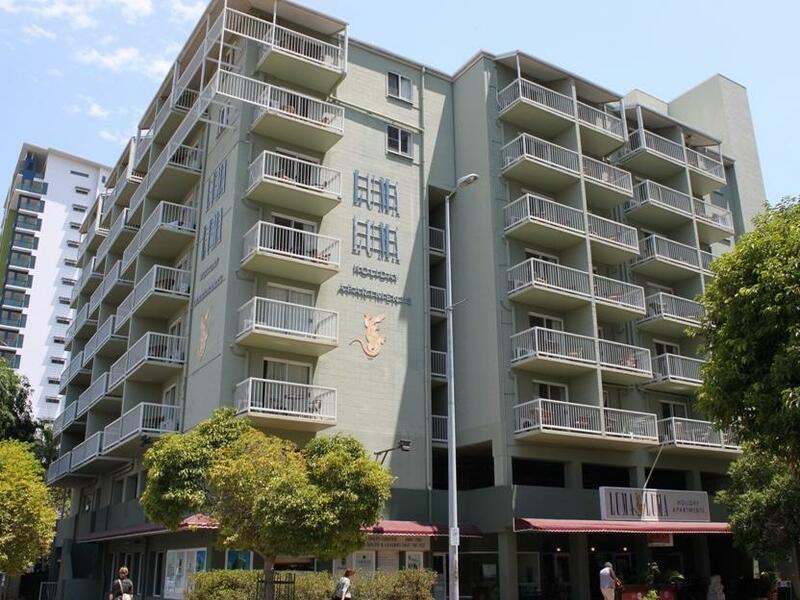 The place is perfect for sightseeing as it is easy walking distance to all attractions, restaurants, shops, cafes, bars, etc., and not far from the popular waterfront precinct. We hired a car for one day's touring around out of Darwin and appreciated the guest carpark. Visiting Darwin in the middle of summer also meant we used the pool a few times and the BBQ in the pool area was terrific for a couple of easy dinners for us. The staff are super friendly and each day when we returned from walking the city our room was spotlessly clean with all tea and coffee replenished and fresh towels etc. When we visit Darwin again, we will definitely stay at Luma Luma. 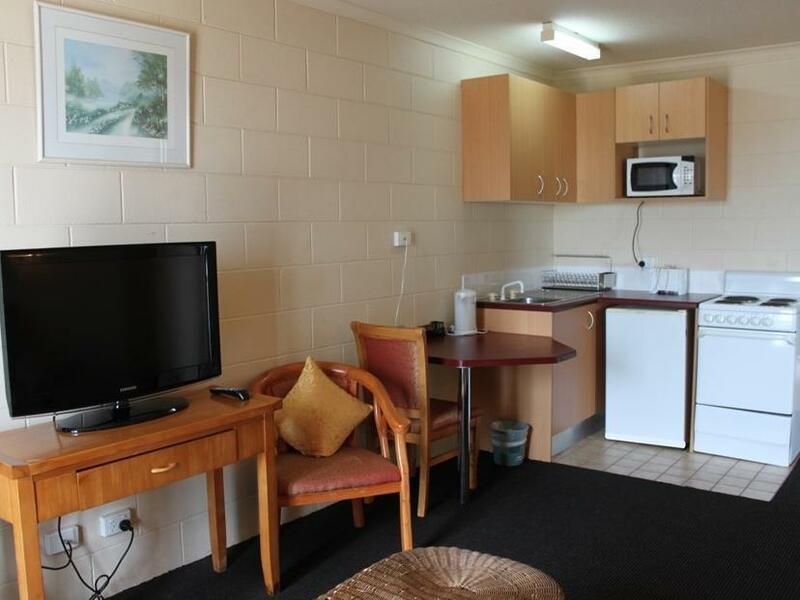 There are newer hotels in Darwin, but the self-catering facilities make this one unbeatable value. We overnighted prior to a flight. (We had been on an extended 4WD self-drive trip). Great position and the staff could not have been more helpful....allowing us a much-appreciated late check-out! 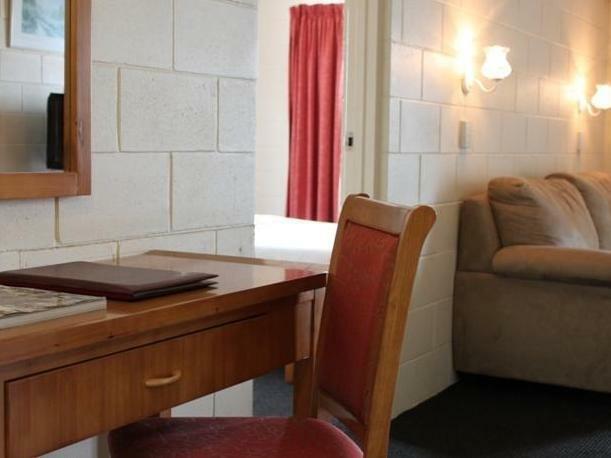 Good value considering its position and the room was large and comfortable. Would definitely stay again. It's a great location and the staff is really friendly, but you can hear it from the squeaking of the door hinges and see it in the dilapidated bathroom that there hasn't been any investment into maintenance sine 1991 when this hotel opened. Great pool though. No WiFi in the rooms which is anachronistic and the reason why I won't go there anymore although I somehow liked it. Budget and basic, but good value for a solo traveller. Location is central and good. Holiday Apartment was clean and tidy and very welcoming after midnight when we arrived in Darwin. Although only spending two nights at Luma, I can see ourselves revisiting the apartments when we next visit Darwin. We had a group of 5 people and stayed in the 2 bedroom apartment. 2 bar fridges, two bathrooms. It cost us $33 each for the one night which was so affordable and we could pay on arrival. Enough room for short stay, one night or weekend. The staff were great they helped us out when of our friends lost their wallet. Reception is staffed 24 hr which was great. I would stay here again. Would DEFINITELY REFER people to use this Hotel . Great laundry facilities on EACH FLOOR. Amazing convenience for all clients. Clean Pool area, great pool. BUT plants need watering as most of them are dying. A minor issue, but pool area would look more welcoming if ALL plants are lush & green. Would use this accommodation again. Very Friendly Staff, both reception and cleaning Staff. We spent 4 days at the Luma Luma in a studio apartment in May '16. We requested and received a harbour view on the 7th (top) floor. There was a convenient and free car park under the hotel which had a lift to all floors. The hotel is showing some signs of wear & tear, however, this is reflected in the price & the excellent room service and staff who couldn't do enough for you. 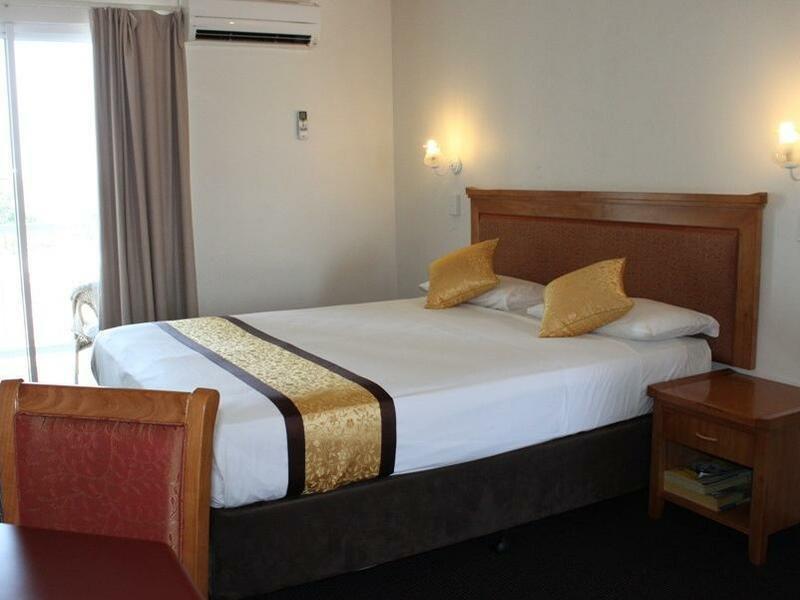 The hotel is situated in the centre of the CBD and equally close to the harbour side precinct. Staff, staff and cleanliness of linen and towels. And something else I never see in reviews - great water pressure in the shower, and almost intant hot water. All I could have wanted. Previously I had travelled to Darwin by bus but on this occasion I had a car. They have their own off street parking that is fully sheltered and is accesible by lift to one's room and reception. So this occasion was even better than previously. we stayed one night in May, expectations were fairly low and met. It's not that there's anything really wrong with the hotel, but things like only one towel in room, broken cupboard handles, sliding doors tough to open etc. the unit was SC, but I'm not sure I'd want to spend more than a few days 'living' there. The view was great, balcony small but useable. Darwin is very expensive so it's probably ok for the very budget conscious. The car park is a bit of a horror show! Small tight spots with plenty of grazed poles!!! Good stay with helpful staff. Aircon was not working so we changed rooms which was sorted out quickly and efficiently. Would stay here again. Old apartment, but clean & helpful staff even gave me free washing powder. 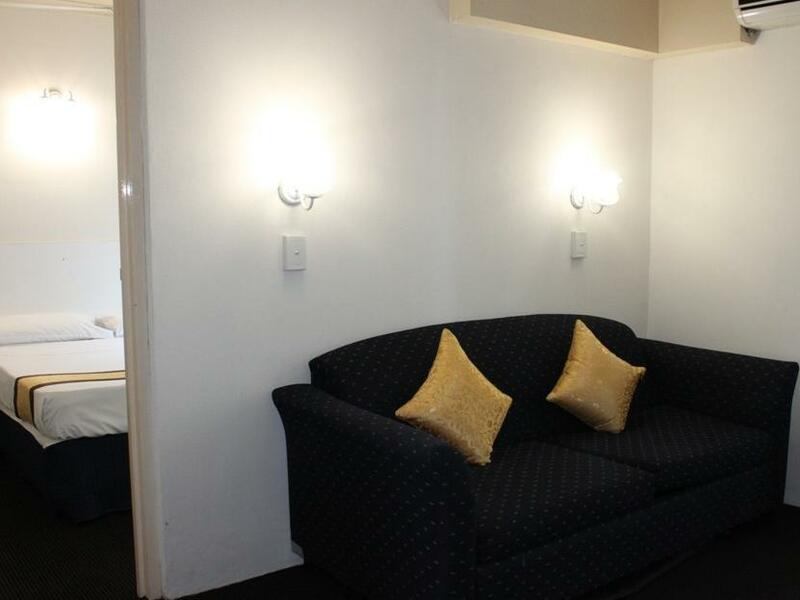 Central location close to eateries & Woolworths & bus stops.